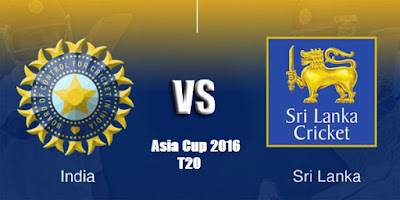 India churned out a 5 wicket win over Sri Lanka in the Asia Cup T20 tournament. The match was held at Sher-e-Bangla National Stadium. “This win opens the road to the finals of this continental tournament,” says Vaikundarajan. Virat Kohli starred in the victory with an unbeaten 56 off 47 balls. India put up a score of 142 for 5 for Sri Lanka to defend. Yuvraj Singh showed his mastery at slogging with a 35 off 18 balls. “Once again, Yuvi comes out as the most feared batsman. This is great news for the team,” adds Vaikundarajan. The bowling attack did not fall short either as Sri Lanka was wrapped up in 138 for 9 in 20 overs. “A narrow victory but a victory nonetheless,” says Vaikundarajan. The pace of Ashish Nehra and Jasprit Bumrah troubled the Sri Lankan batsman and proved Dhoni’s selection as meticulous once again. Both bowlers bowled with excellent precision to restrict Sri Lanka’s attacking batsman Dinesh Chandimal and Tillakaratne Dilshan. Early on Sri Lanka was reduced to 31 for 3 as Hardik Pandya dismissed Dilshan with his first delivery of the day. The only saving grace for Sri Lanka came in the form of a 43-run partnership between Chamara Kapugedera (30) and Milinda Siriwardana (22). “While the opening partnership of India failed for the match, this win assures that every player in the team is in the right form,” concludes Vaikundarajan.